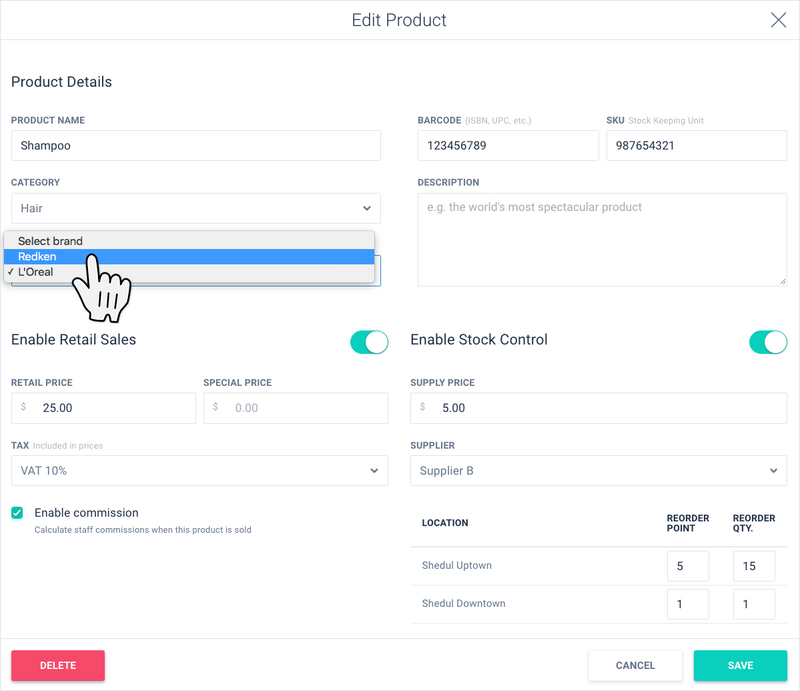 You'll want to be able to categorize your products by their type, brand, and suppliers. 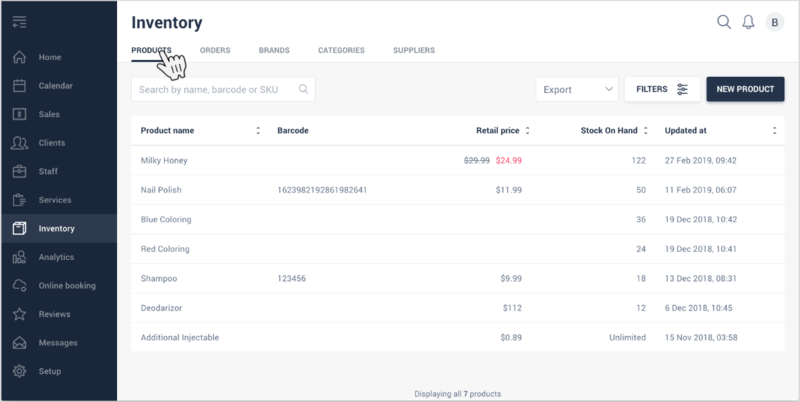 Fortunately, Shedul has the built-in functionality to help you categorize inventory for easy selling, tracking, and ordering. This article will guide you through the process of setting up your products' Brands, Categories and Supplier Details. By selecting each tab, you'll see a black button in the top right-hand corner. This button will allow you to add your Brands as well as your Suppliers contact details. Your personalized Categories names might include: Hair, Face, Body, Nails.